Find free crochet patterns for neck warmers listed below. This pretty crochet cowl is the ticket to looking chic and stylish while keeping your neck toasty warm. This is an easy crochet pattern that features gorgeous, feminine details. 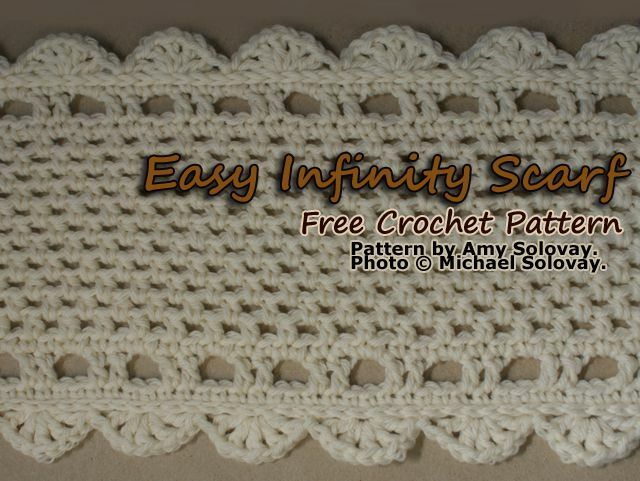 This crochet pattern is by Amy Solovay. Add a little bit of warmth and a lot of style at the same time with this trendy crocheted lace cowl. This crochet pattern is by Erica Jackofsky. Crocheted Scarves Designed by Amy Solovay. Crocheted Scarves Designed by Amy Solovay. Photos © Michael and Amy Solovay. We're glad you stopped by today, and we're thrilled that you're making the most of the free patterns we offer on our website. We invite you to load up on bunches more free patterns and tutorials. Here are a few suggestions for related resources you might enjoy.